New Delhi: The Vice President of India, Shri M. Venkaiah Naidu has said that every person in the reserved category should get the fruits of development. He was addressing the gathering during the release of the book titled ‘Dr. Babasaheb Ambedkar: Vyakti Nahin Sankalp’, edited by Shri Kishor Makwana and handing over the first copy to the President, Shri Ram Nath Kovind, at Rashtrapati Bhavan here today. The Speaker of Lok Sabha, Smt. Sumitra Mahajan, the Union Minister for Social Justice and Empowerment, Shri Thaawar Chand Gehlot and other dignitaries were also present on the occasion. The Vice President said that there should be equitable representation among the reserved categories in education and employment in accordance with their population. Paying rich tributes to Dr. Ambedkar, he said he was a symbol of excellence and inspired every Indian. He said “Dr Ambedkar is an icon for New India and his thoughts are the guiding ideal for us”. He symbolized how every individual despite hardships can achieve great heights. The Vice President said that Dr. Ambedkar also epitomized how one’s talents can be used to shape the lives of millions of people by dedicating oneself to nation building. As the Prime Minister says, “every poor man and woman from marginalized sections of society who has succeeded owes it to Babasaheb and his work. As he said, there would be no Modi, without Ambedkar” he added. 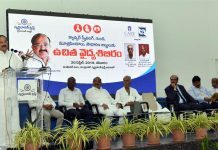 The Vice-President said that the Prime Minister was not only inspired by Dr. Ambedkar’s grand vision but has made it a mission to integrate his vision into the overall governance of the country. The Prime Minister’s call for building a New India was an amplification of Dr. Ambedkar’s vision of a society that is not torn apart by casteism, communalism and other fissiparous tendencies, he said. 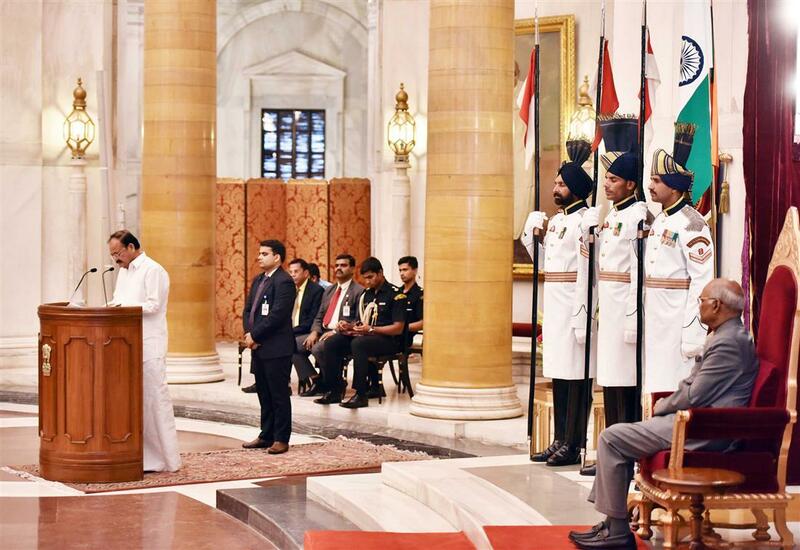 Observing that Dr. Ambedkar was an unabashed and vocal supporter of industrialization, the Vice President said “Make in India along with promoting Ease of Doing Business has finally unlocked this latent potential”, he added. India has become the second largest steel producer and the fourth largest automobile market. “India is the second largest producer of mobile phones and this is just the beginning of the India story”. Recalling that Babasaheb had worked extensively on infrastructural issues, particularly that of power, he said that India was now the world’s third largest electricity producer. Stating that Dr. Ambedkar was also the Architect of India’s Water Policy, he termed the massive Hirakud project as a gift from Babasaheb to India. The Vice President said Dr. Ambedkar also worked on issues relating to women. He was the first person to think of making workplaces more women-friendly and fought for 8 weeks of maternity leave for women which now have been increased by the government to 26 weeks. The Vice President said that the youth want an India “that is inclusive, peaceful and forward looking. 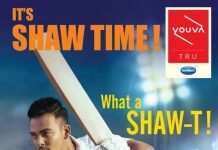 It is an India that cares for each individual and moves ahead as Team India. And true enough, we as a nation have taken rapid strides in the recent years. We must keep up the momentum”, he added. ” Dr. Ambedkar is an icon for New India. A lawyer, an economist, a teacher, a philosopher, a social visionary and a statesman – Dr. Ambedkar is the symbol of excellence that every Indian is inspired by. Dr Ambedkar’s thoughts have left an indelible, lasting footprint on the sands of contemporary Indian history. We are indeed fortunate that the country is being led by a visionary leader like Narendrabhai Modi who has not only been inspired by Dr Ambedkar’s grand vision but has made it a mission to integrate this vision into the overall governance of the country. World’s second largest steel producer and fourth largest automobile market. India is the 2nd largest producer of mobile phones and this is just the beginning of the India story. Dr. Ambedkar worked extensively on infrastructural issues particularly that of power – India is now the world’s third largest electricity producer. The government’s sharp focus on social and economic inclusion, education, employment, entrepreneurship, women’s empowerment, infrastructure and industrial expansion and optimum utilization of water resources have their basis in Dr Ambedkar’s vision. The Prime Minister’s call for building a new India is an amplification of Dr Ambedkar’s vision of a society that is not torn apart by casteism, communalism and other fissiparous tendencies.